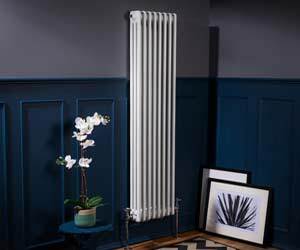 Service rating : I ordered a radiator in the afternoon and received It the next day with free delivery what a marvellous turnaround. 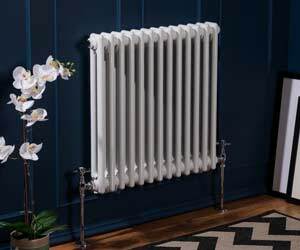 The radiator was very good quality at an excellent price, I cannot fault the goods or the service they were both excellent way above expectations. Product : The... Read More. Service rating : I ordered a radiator in the afternoon and received It the next day with free delivery what a marvellous turnaround. 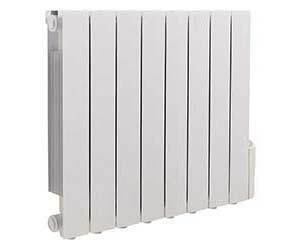 The radiator was very good quality at an excellent price, I cannot fault the goods or the service they were both excellent way above expectations. 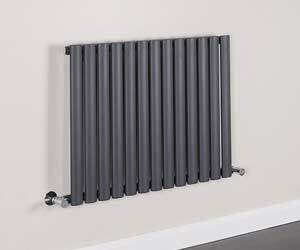 Product : The service was outstanding I ordered a radiator in the afternoon and received free delivery the next day an excellent turnaround and a very good quality product. The service and quality were above expectation and I would highly recommend the company who were very easy to deal with to anyone. Excellent !! Service rating : Had to wait over a week for delivery as it was sent to wrong depot. Never received a confirmation email. Someone needs to get their act together. Product : All ready have.no more to say!!! Good morning,Thank you for taking the time in leaving feedback for us. Firstly please accept my apologies for the delay in your order being delivered. I can see that you placed your order on 29/01/2019 however due to unforseen delays this was delivered late on 04/02/2019. This has been reported to ensure that this does not happen again. Once again please accept my apologies and if you would like to speak to me regarding this please don't hesitate to call me on 0333 305 8200. Good morning, Thank you for taking the time in leaving feedback for us. Good afternoon,Thank you for taking the time in leaving feedback for us, I am sorry to hear this. Please accept my apologies that you did not receive your email confirmation when placing your order causing you to have to phone us to confirm we had received your order, this is very strange as this should be sent to you automatically, this has been reported to ensure that it does not happen again. If you would like to speak to me further regarding this please call me on 0333 305 8200. Service rating : Ordered online arrived speedily, very pleased with the item and service. Product : Ordered online, speedy delivery excellent service. Service rating : I had a problem with a Fault code and rang the help-line who e-mailed a link to the fix, however this is very unclear and has no vocal help so could be a LOT better. That said the items themselves are very good. Product : Good quality and seemed to do what is required once fault... Read More. Service rating : I had a problem with a Fault code and rang the help-line who e-mailed a link to the fix, however this is very unclear and has no vocal help so could be a LOT better. That said the items themselves are very good. 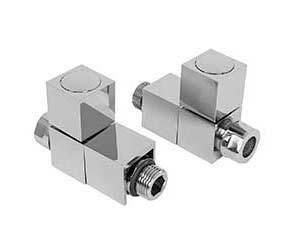 Product : Good quality and seemed to do what is required once fault code sorted. Firstly please accept my apologies for the issue you had with a fault code on the radiator, I can see that my colleague forwarded over the information from the manufacturers on how to resolve this and after speaking to you I will also forward over some further instructions on how to resolve this issue. If you would like to discuss this further please don't hesitate to contact me on 0333 305 8200. Good afternoon, Thank you for taking the time in leaving feedback for us, I am sorry to hear this. Firstly please accept my apologies for the issue you had with a fault code on the radiator, I can see that my colleague forwarded over the information from the manufacturers on how to resolve this and after speaking to you I will also forward over some further instructions on how to resolve this issue. If you would like to discuss this further please don't hesitate to contact me on 0333 305 8200. Kind regards, Richard. Service rating : Prompt and efficient resolution of warranty replacement. Customer service advisor went above and beyond to resolve my query. She was extremely helpful and could not have done more. They called me to arrange a delivery date. Everything arrived quickly and in good condition. Good service and great product. Had a call to say order would be delayed as waiting on one part. Very helpful , then order was delivered as promised by the following Friday. 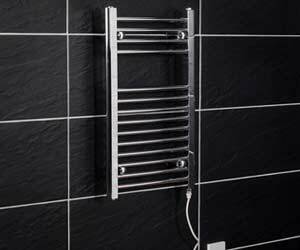 "Received my bathroom towel radiator on time, looks great will buy from Warmehaus again. 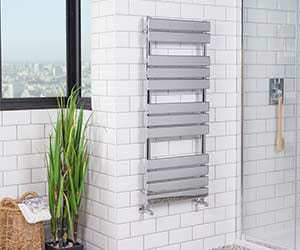 My bathroom towel radiator looks great and the price was very good. " "Quality product, swift delivery, excellent customer service. " 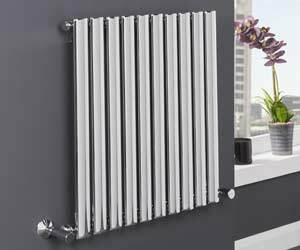 Quality - Throughout the manufacturing process every single WärmeHaus™ heated towel rail and radiator is continually inspected for quality. Each individual radiator or rail is water tested over 3 times and pressure tested for leakage up to 10bar for complete peace of mind. 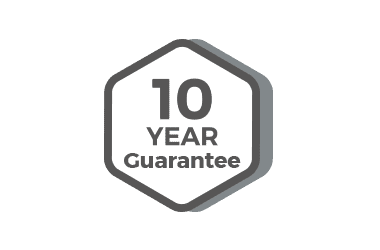 10 Year Guarantee for complete peace of mind. Service. - With a wide range of radiators and towel warmers in stock, quality checked and ready for delivery in our National Distribution Centre in Trafford Park, Manchester. WärmeHaus™ sets the standard in ‘Customer First’ service. 30 Day No Quibble Money Back Guarantee - If you are not 100% satisfied with your purchase you can return it to us providing it is unused and in its original packaging, within 30 days of receipt and we will provide a full refund. Returning your purchase is easy, simply call our customer service team, on 0333 305 2202 and let them know which item you wish to return. 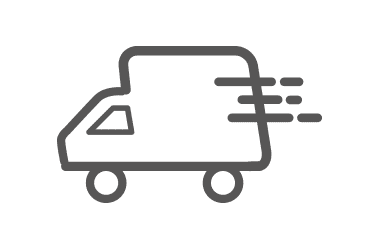 If you have received goods which have been damaged in transit, we will arrange for a carrier to collect the item from you and return it to us for inspection.